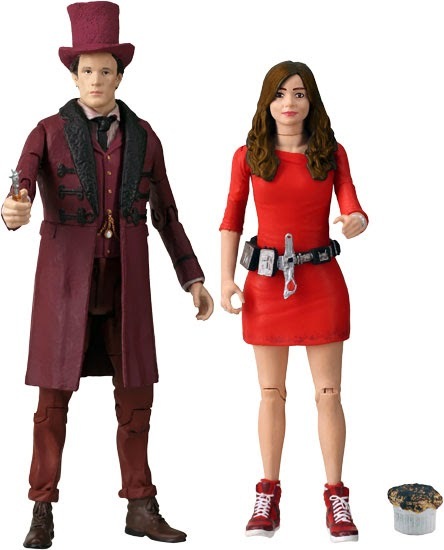 Originally planned as the SDCC Exclusive for 2014, the new Impossible Set plays off the idea that the Doctor and Clara are linked through time! Featuring the 11th Doctor in his Victorian clothes and Clara Oswin Oswald. The set also comes in a special double sided, foil finish window box. A 5" Clara at last! Big Chief Studios' Not Quite SDCC Reveals!